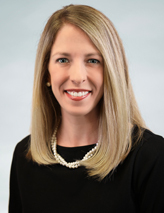 Dr. Tandy Repass completed her undergraduate studies at Transylvania University, and obtained her medical degree at the University of Kentucky College of Medicine, graduating with High Distinction. She completed her internship at the University of Kentucky College of Medicine, and went on to complete her residency in dermatology at the Mayo School of Graduate Medical Education. Dr. Repass is certified by the American Board of Dermatology, and a member of the American Academy of Dermatology, the American Society for Dermatologic Surgery, the Society for Pediatric Dermatology, the Alpha Omega Alpha Honor Medical Society, and the Mayo Clinic Alumni Association. Dr. Repass joined DAK in 2013, and her professional interests include clinical and surgical dermatology. Dr. Repass is a native of Georgetown, KY, and currently resides in Lexington with her husband and children.